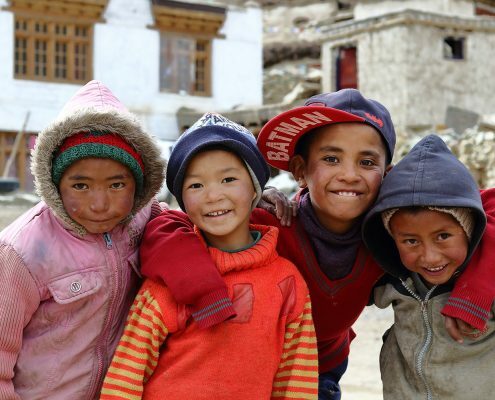 A nexus on the silk road routes, Ladakh has been a melting pot of culture for many centuries. 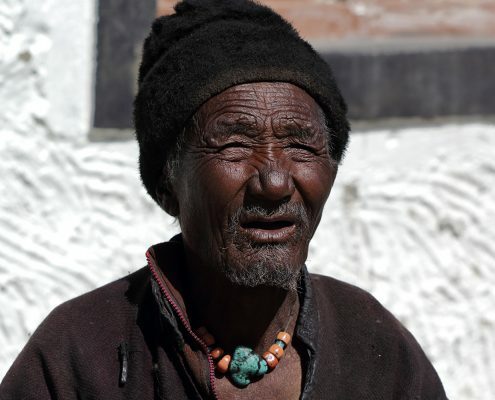 Primarily Buddhist, the people of Ladakh belong to many ethnicities and cultural origins. While exploring the culture of Ladakh, one may find ancient ritualistic traditions assimilated in Buddhist ideologies over time. 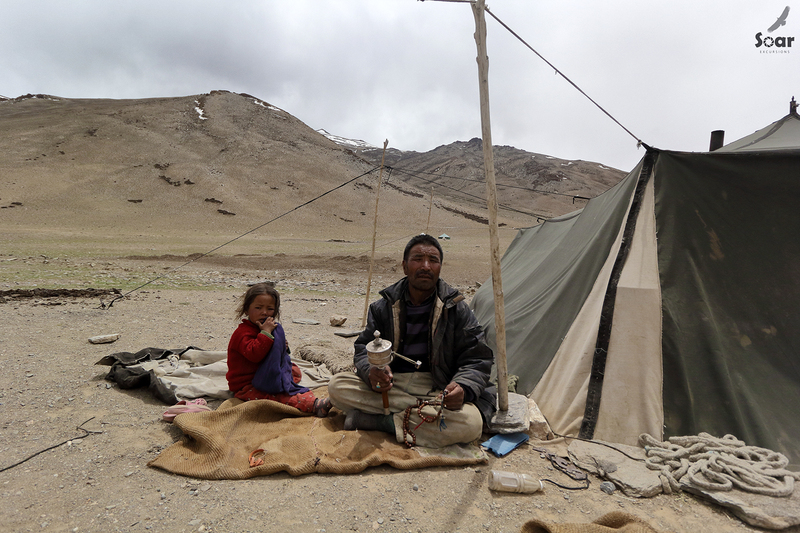 Each community has its own history of migration to this barren trans Himalayan landscape as well as traditional practices passed on from generations to survive this harsh landscape. Situated on the bank of Suru river, Kargil is the second largest town of Ladakh. The Suru valley, Turtuk region and Zanskar region can be explored from Kargil. 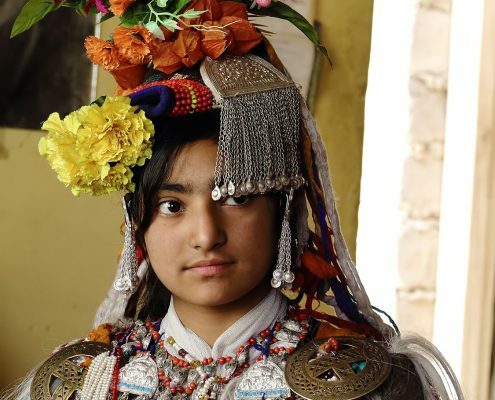 The Brokpa people live Dah, Hanoo, Darchik and Batalik villages of Kargil district. 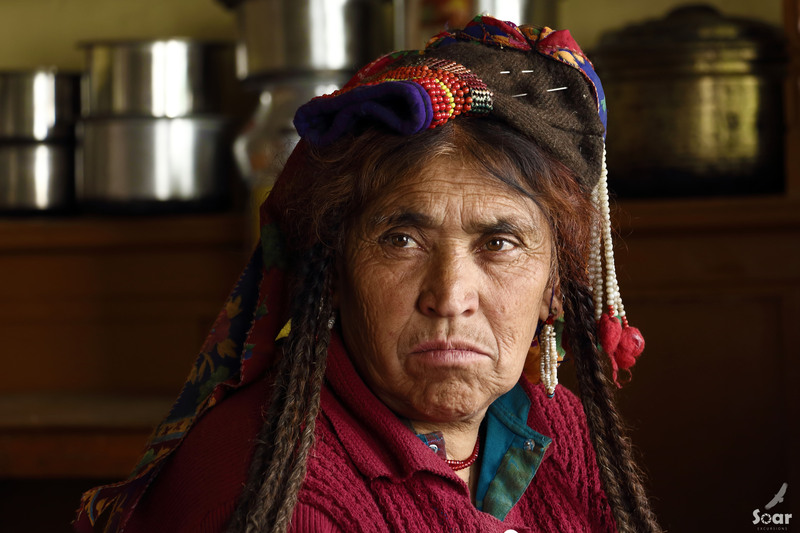 The Brokpa people of Dardic origins migrated to Ladakh in around 200 BC. They have fair complexion, Blue eyes, aquiline nose and tall, sturdy body suggesting similarities with central Asian migrating communities. 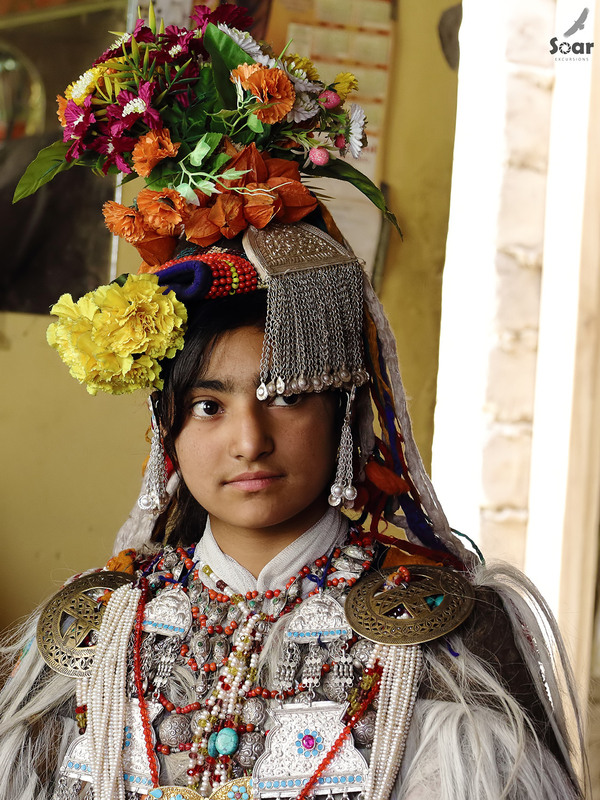 The Brokpas wear a head dress decorated with intricate bead work, dried flowers and hair clips and old coins. The hair clips, neckalaces and brooch are silver Jewellery encrusted with turquoise and other local gemstones. The Turtuk region of Baltistan was once, a gateway to Silk road. 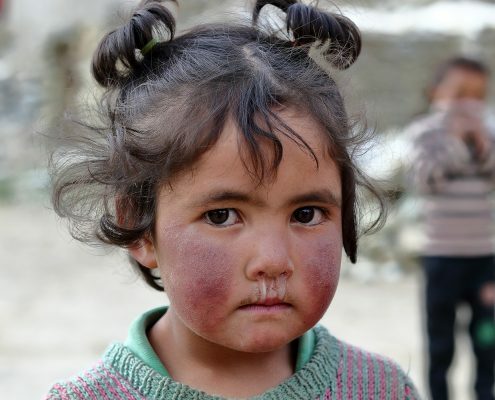 Thin sturdy stature, oval faces, ruddy cheeks and long, sharp noses are common features of people of Turtuk suggesting Tibetan and central Asian descent. The museum of Turtuk cataloguing metal traps and intricate swords was the summer home to formidable Yagbo dynasty that ruled the kingdom until 1800s. 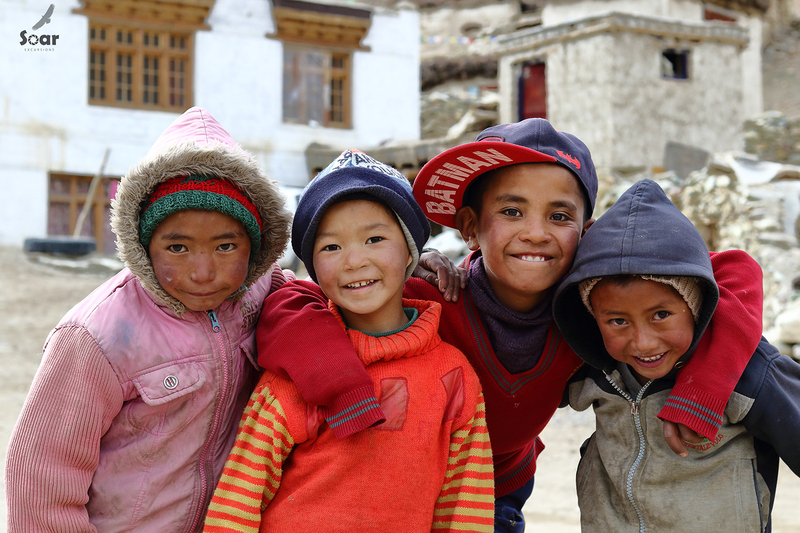 Cut off from most of the world due to geographical constraints, the people of Zanskar follow a distinct Buddhist lifestyle. Only way to reach Zanskar is through Penzi-La. Owing to the geographical isolation, the people follow an extremely self-sufficient economy. Most people are involved in cattle rearing and farming the meagre arable land with complex irrigation system. In past, practice of polyandrous marriage existed to ensure a stable population and lesser infant mortality rates. Yaks are an important livestock, essential for survival as they are used for farming, threshing and load bearing. Their dung is used as fertiliser and fuel, their milk for consumption and fur to make clothes and rugs. Another community that live there are the Mon people. 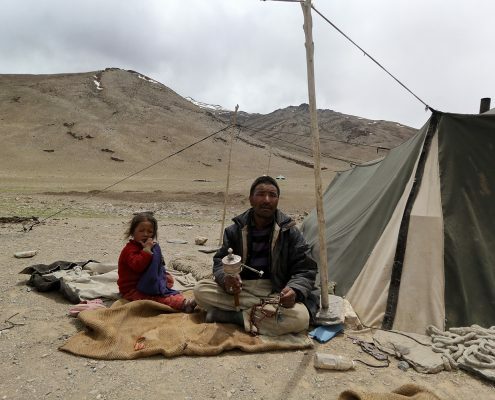 While the Mons share similar Dardic ancestry as the Brokpa, their arrival to Zanskar was much before the latter and thus, differ in their cultural practices and lifestyle. The Hanle village is home to Indian Astronomical Observatory. 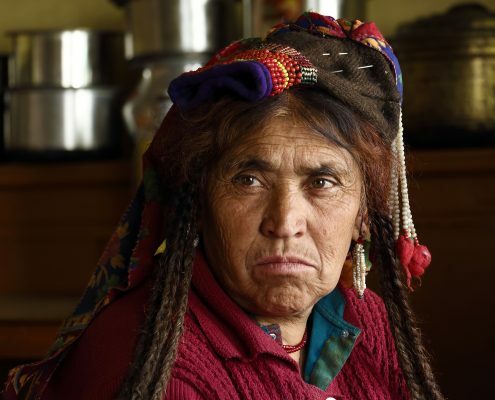 The Changpas are high altitude pastoralists raising yaks and Changra goats. 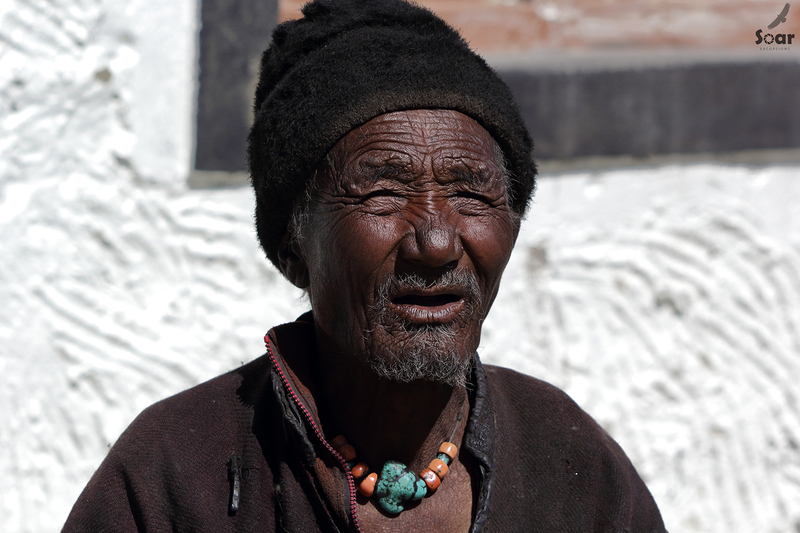 Changpa nomads lead a tough life which shows in their sun burnt features. Traveling across the Changthang plateau with their goats and loyal Tibetan mastiff guard dog, they search for grazing pastures in that harsh, inhospitable land. 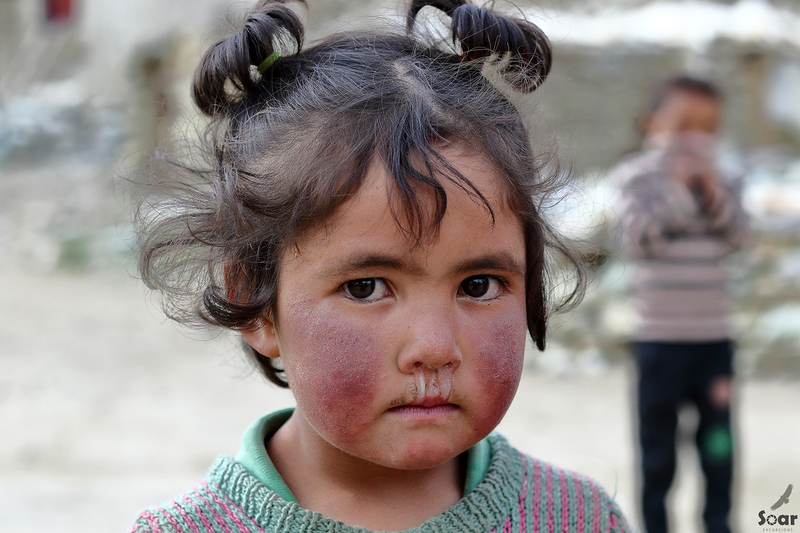 Every summer, the Changpas migrate to Hanle from their homeland to harvest the soft winter coat of Changra goats known as Pashmina which is dyed and handwoven into beautiful shawls.